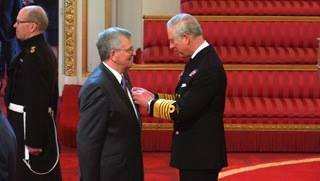 Congratulations to the ‪#‎Rotary‬ members recently honored as an Officer of the Order of the British Empire. These include Past Rotary International in Great Britain & Ireland President Allan Jagger (pictured with the Prince of Wales) as well as Bob and Jan Baxter, Les Jones, Hugo Pike, and Edwin Dunlop. The honor is awarded for having a major local role in any activity, including people whose work has made them known nationally in their chosen area. Read about more at www.ribi.org/news/ribi-news/further-new-year-s-honours.